Here are some famous Moral Stories by Aesop. They are collectively known as Aesop's Fables. 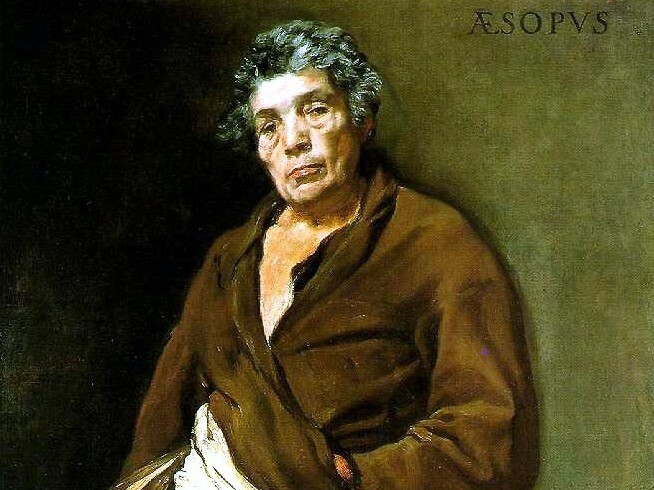 Aesop is believed to have been a Greek slave who lived about 2,500 years ago. Click the links below for more Moral Stories and other short stories. A wolf found a lamb wandering alone in a field. But the wolf fancied himself a nonviolent creature. So the wolf needed a reason to justify killing the lamb. After all, wolves have to eat too. So the wolf said to the lamb, “You insulted me last year!” And the lamb said, "No, sir. I was not yet born." So said the Wolf, "You feed in my pasture." "No, sir," replied the Lamb, "I have not yet tasted grass." So the Wolf said, "You drank from my well." "No," replied the Lamb, "I have never yet drank water, but only my mother's milk." So the wolf said, "Well! I'm not about to go hungry just because you have an excuse for everything!" Then the wolf snatched up that baby lamb and ate it. A Bat, who fell on the ground and was caught by a Weasel, begged for his life. "Sorry," said the weasel, "but I am by nature an enemy of all birds." "I'm not a bird!" said the Bat. "I'm a rodent!" So the weasel set the bat free. A short while later, the Bat again fell to the ground and was caught by a cat, and once again begged to be spared. "Sorry," said the cat. "It is my nature to eat rodents." "I'm not a rodent!" said the bat. "I'm a bat!" And once again the clever bat escaped. Moral: Always make your circumstances work to your advantage. A donkey heard some Grasshoppers chirping, and was highly enchanted by their music. Desiring similar melodic talent, the donkey asked the grasshoppers what sort of food they lived on to give them such beautiful voices. The grasshoppers said, "We feed on the morning dew." So the donkey resolved to live only on dew, and eventually starved to death. Moral: Always be attentive to your needs. The animals of the forest had a gentle Lion as their king. During his reign he made a royal proclamation by which the Wolf and the Lamb, the Panther and the Kid, the Tiger and the Stag, the Dog and the Hare, and all other creatures would live together in perfect peace and harmony. All the animals agreed. The Hare said, "Oh, how I have longed to see this day in which the weak shall take their place in perfect safety by the side of the strong!" Then the Hare ran like Hell. Moral: Better safe than sorry. A Wolf had a bone stuck in his throat. So he begged a Crane to save him. The Crane agreed, for a large sum of money, to save the life of the wolf by putting her delicate head into his mouth and drawing out the bone with her long, slender beak. The Crane successfully removed the bone, then demanded the promised payment. The Wolf said, "You have already received sufficient payment. I let you escape from the jaws of a wolf." Moral: If you embrace evil, expect no reward. Just be grateful to have escaped with your life. A Lion was rudely awakened from his nap when a mouse bit him on the nose and drew blood. In anger, the lion snatched up the mouse, and was just about to kill him, when the mouse implored, "Oh, please, Great Lion! If you would only spare my life, I will be sure to repay your kindness, somehow." The Lion roared a hearty laugh, and said, “That'll be the day when a meatless little pipsqueak like you will be of any use to me!” Still, the lion pitied the mouse and let him go. Then the lion went to a watering hole to tend his bleeding face. Some weeks later, the Lion was caught in a net by some hunters, and found himself unable to escape. The hunters were fast approaching, with shotguns loaded and ready. The lion issued a death roar. The mouse, recognizing the lion's voice, skittered over to where the lion was trapped, gnawed the rope with his teeth, and set the lion free. CLICK HERE to read the above story in the form of rhyming verse. A Rooster, scratching for food, found a diamond in the dirt. Beside it was a single kernel of corn. The rooster ate the kernel of corn, and walked away without even noticing the diamond, for a rooster would rather have one kernel of corn than all the jewels in the world. Moral: What's best for one is not necessarily best for another.